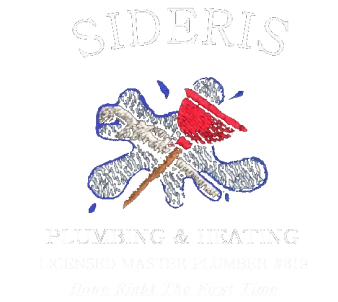 Sideris Plumbing & Heating Corp.
﻿﻿Sideris Plumbing & Heating Corp. and John J. Sideris Inc has been delivering expert plumbing, heating and sprinkler services to New York City for over 35 years. Fully licensed by the City of New York, Sideris Plumbing & Heating Corp. offers the highest quality plumbing and heating solutions possible. Our work is designed to last and get the job done right the first time. ​Anytime you have a leak there is no need to seek an inexperienced handyman. Call Sideris Plumbing & Heating Corp. to receive expert and professional service. You will always know your price before we start! -Any plumbing job either residential or commercial is no problem for Sideris Plumbing & Heating. We can satisfy your plumbing needs in your bathroom, kitchen or laundry room. -Need to make sure that your heating system is ready for winter? We will ensure your heating system is working properly, safely and cost efficient. -Interested in an oil to gas conversion? We will deal with Department of Buildings and ConEdison to get you more efficient heating service. -Sideris Plumbing & Heating is licensed by the State of New York to service and test backflow preventers. We will ensure you are compliant with the NYC Department of Buildings and Department of Environmental Protection. -John J. Sideris is a master fire suppression contractor licensed to service fire suppression systems. We will make sure your system is operating properly in case of emergency and compliant with FDNY Rules and regulations.